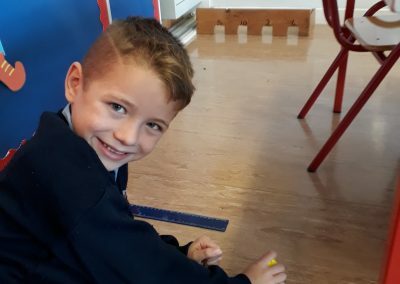 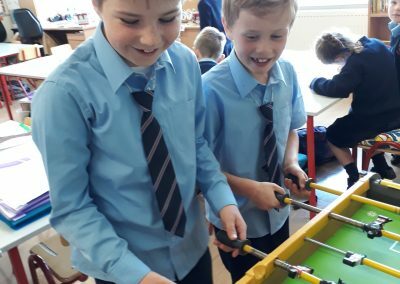 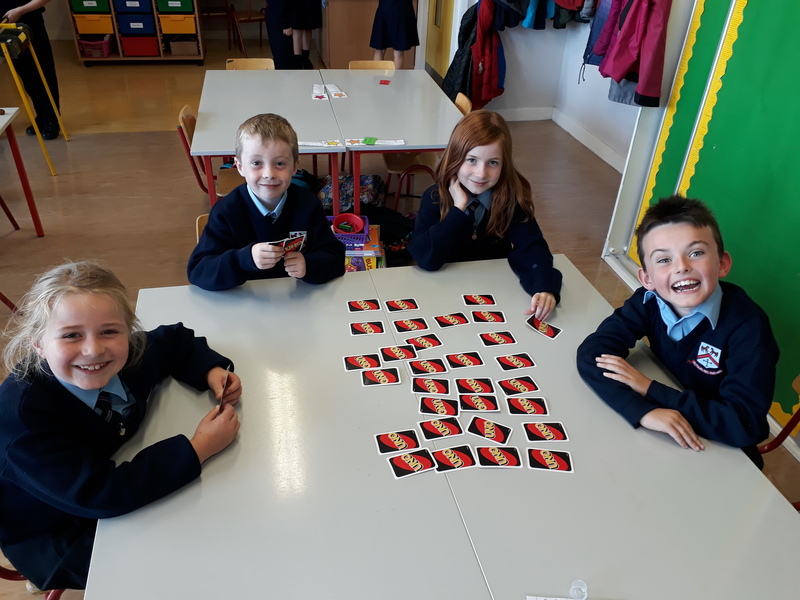 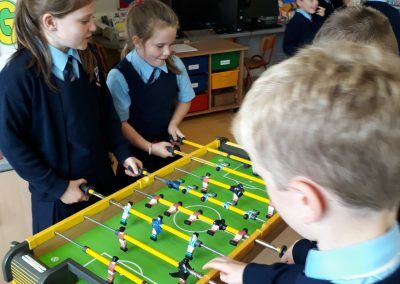 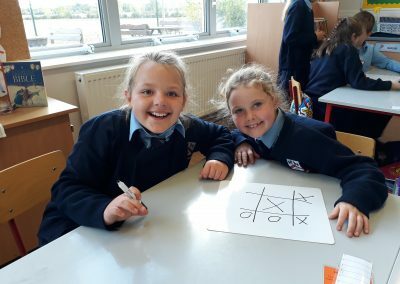 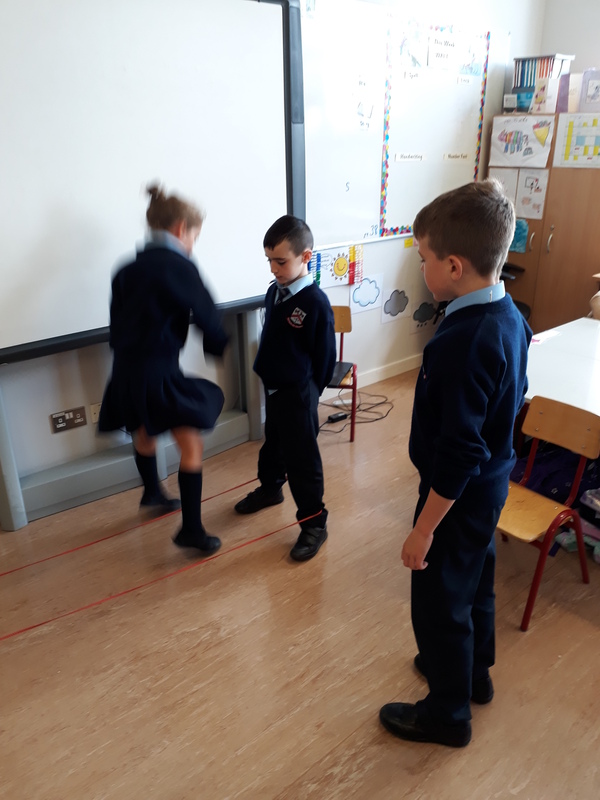 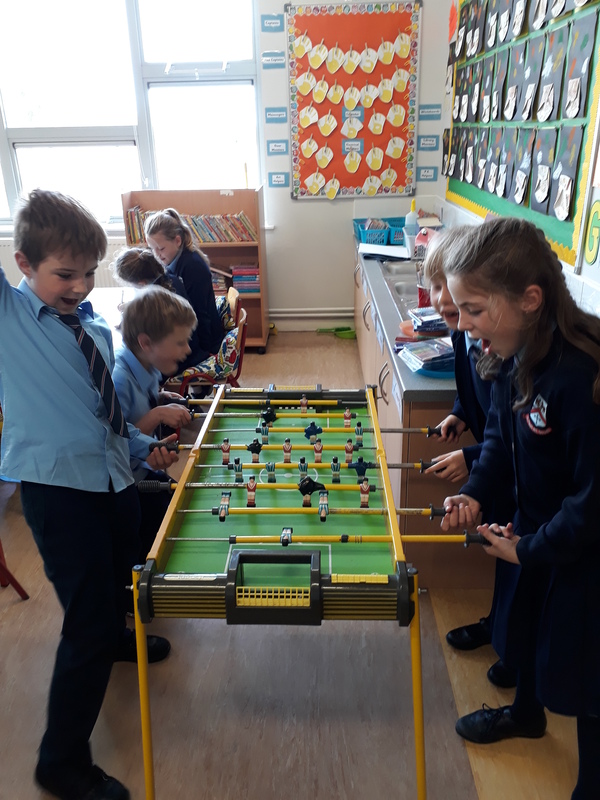 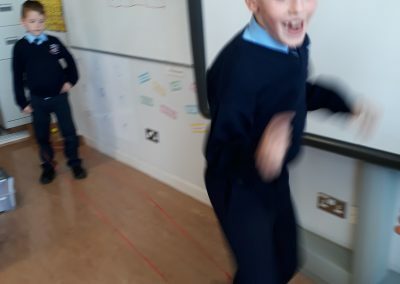 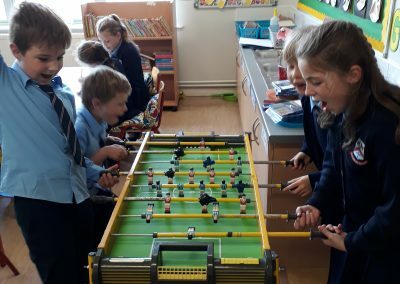 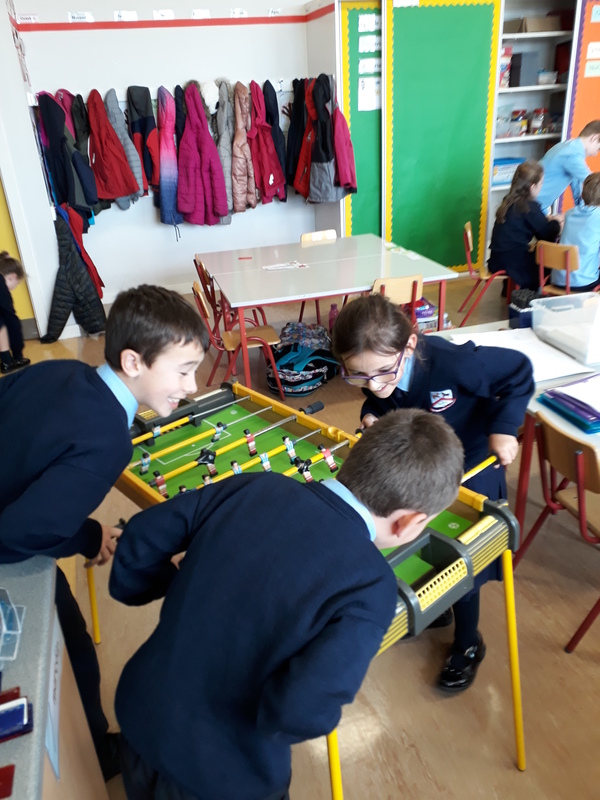 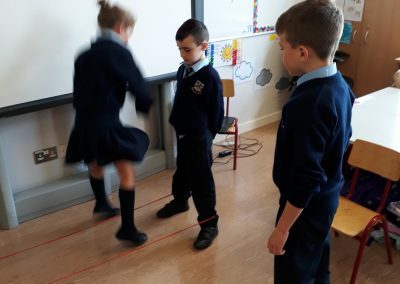 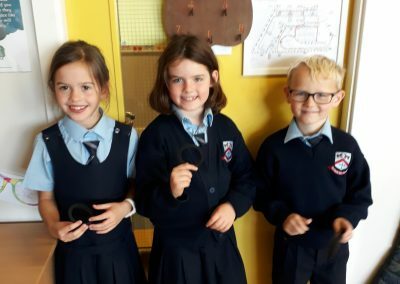 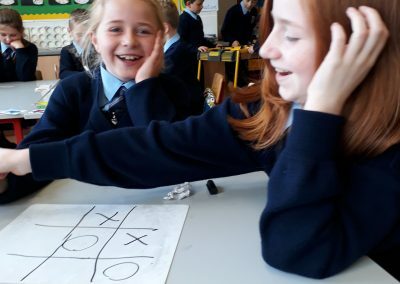 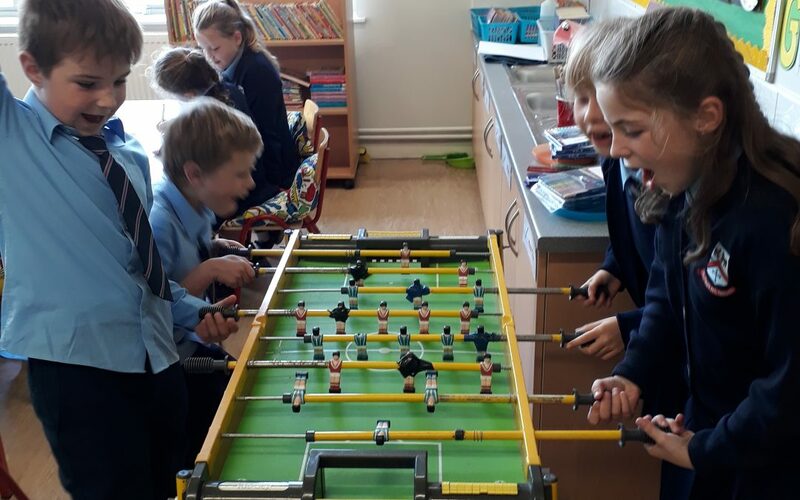 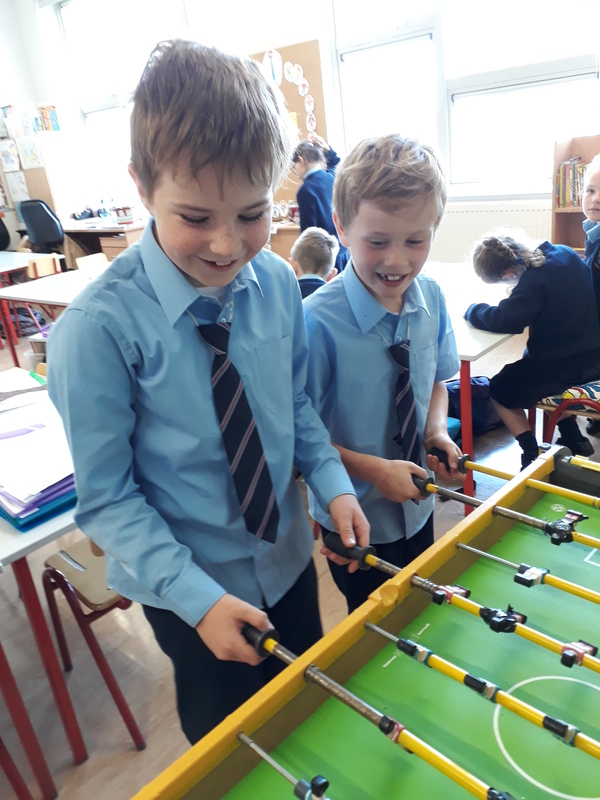 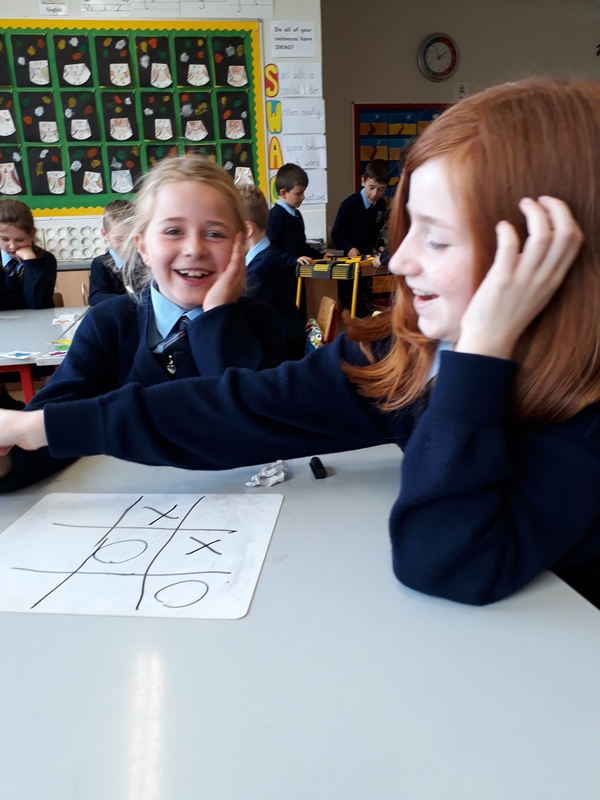 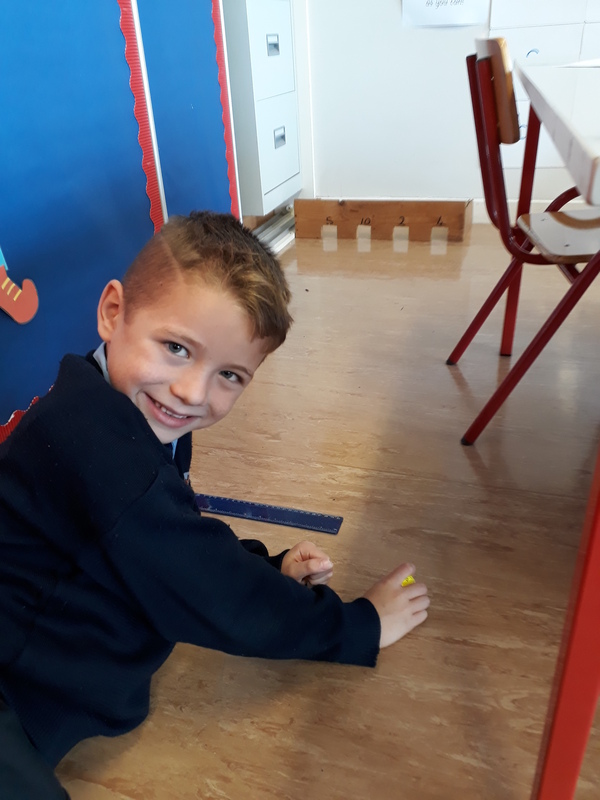 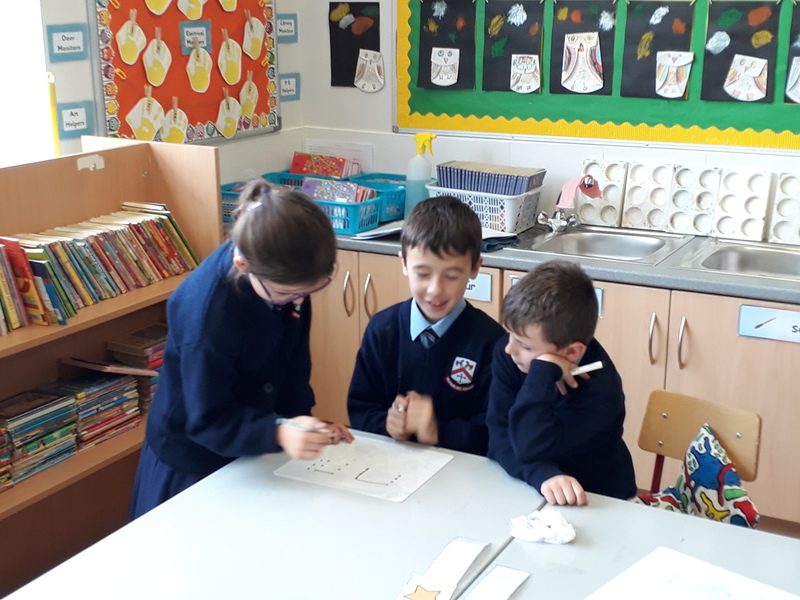 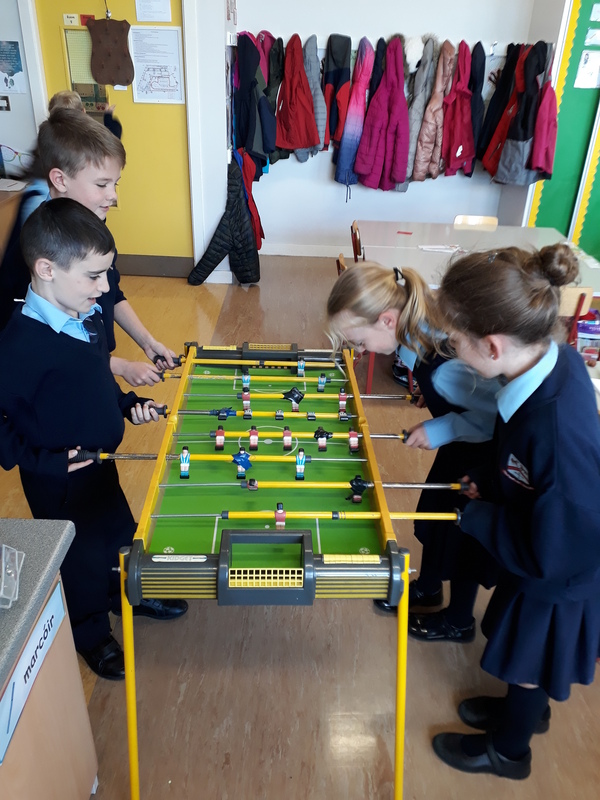 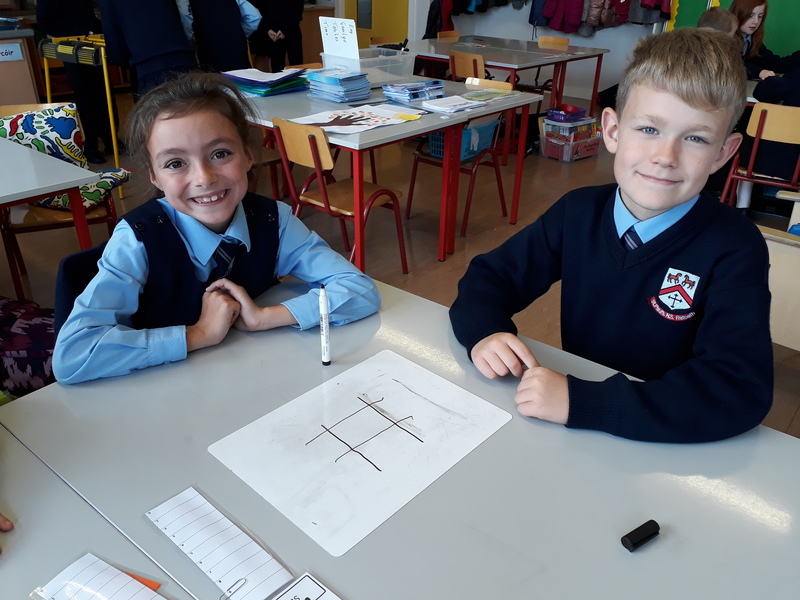 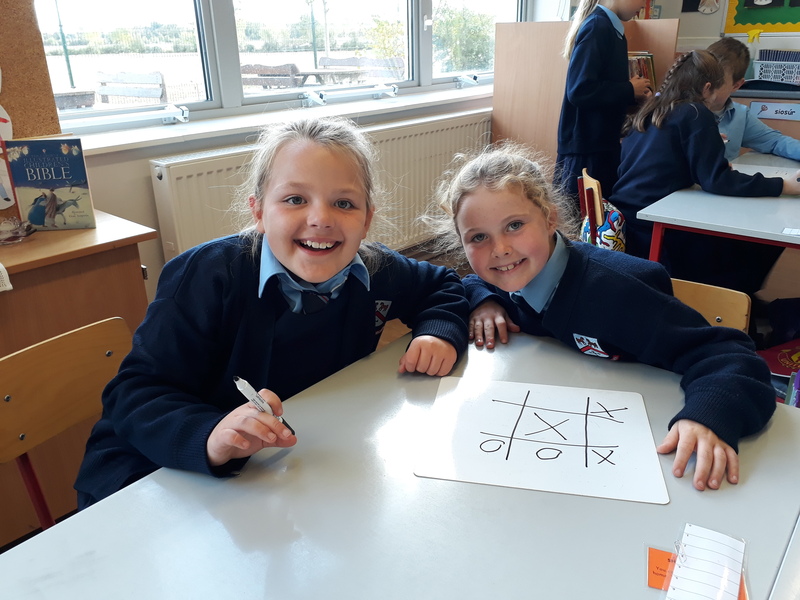 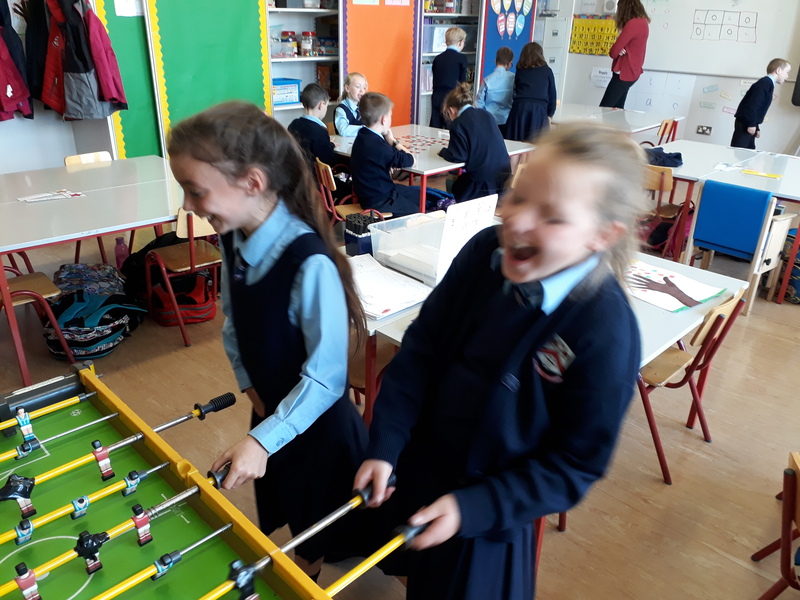 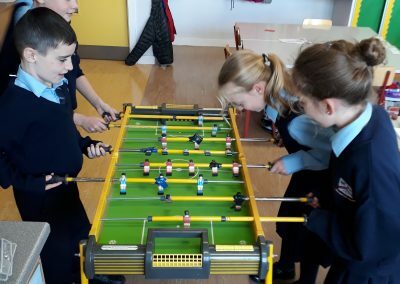 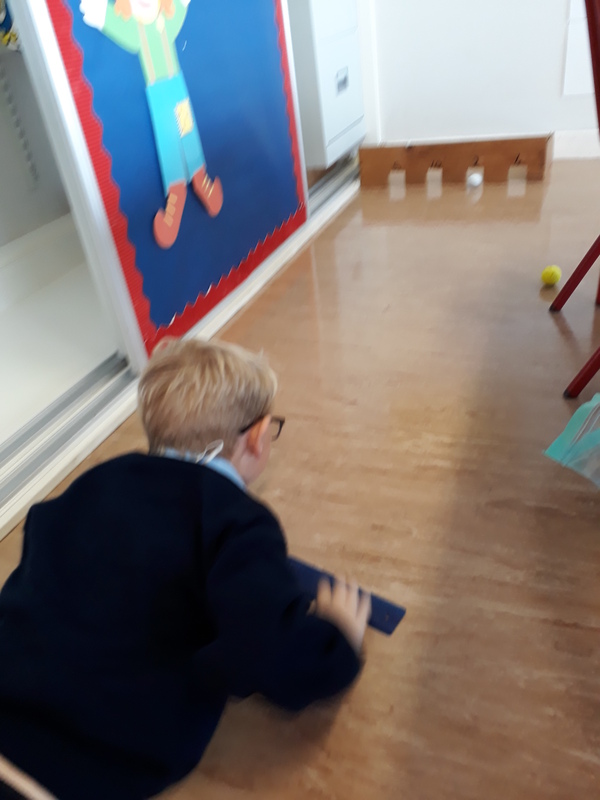 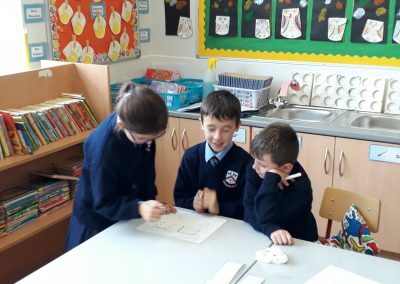 In Ms. Burke’s Second Class, the boys and girls have been very busy, in particular in the subjects of S.E.S.E. 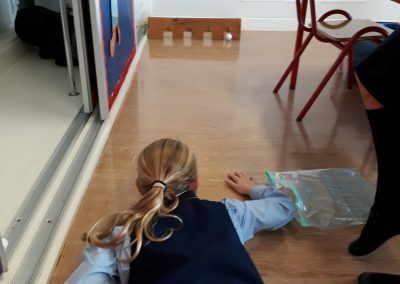 – History, Geography and Science. 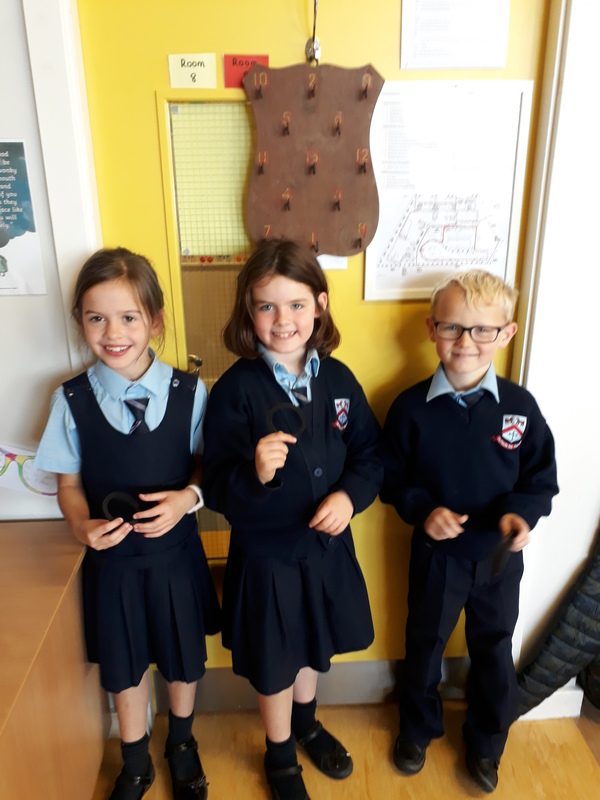 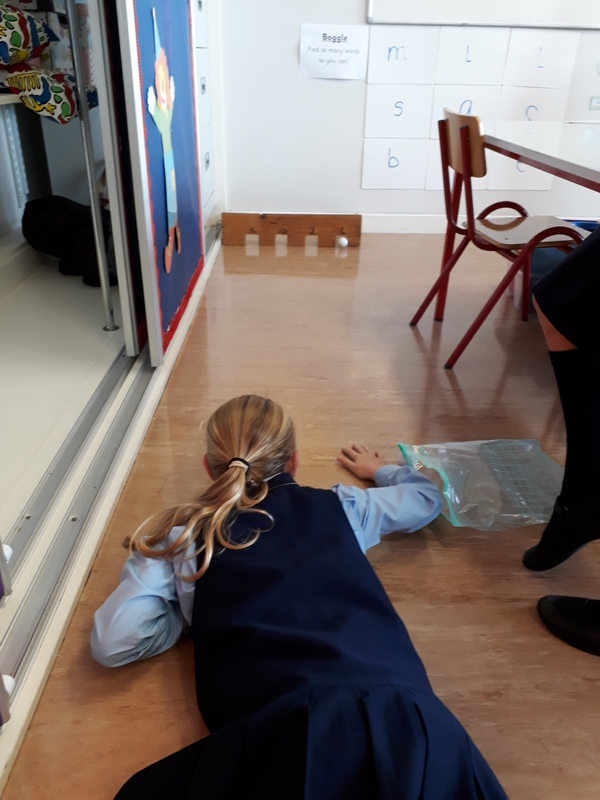 In Science, we were investigating magnets. 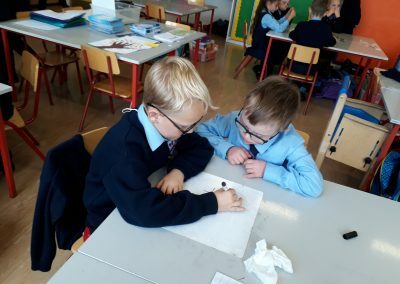 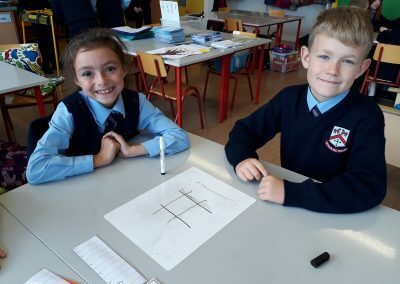 Our conclusion lesson involved Geography where the children drew maps of Ratoath. 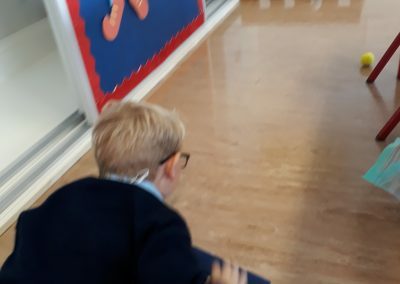 They used paper clips as cars. 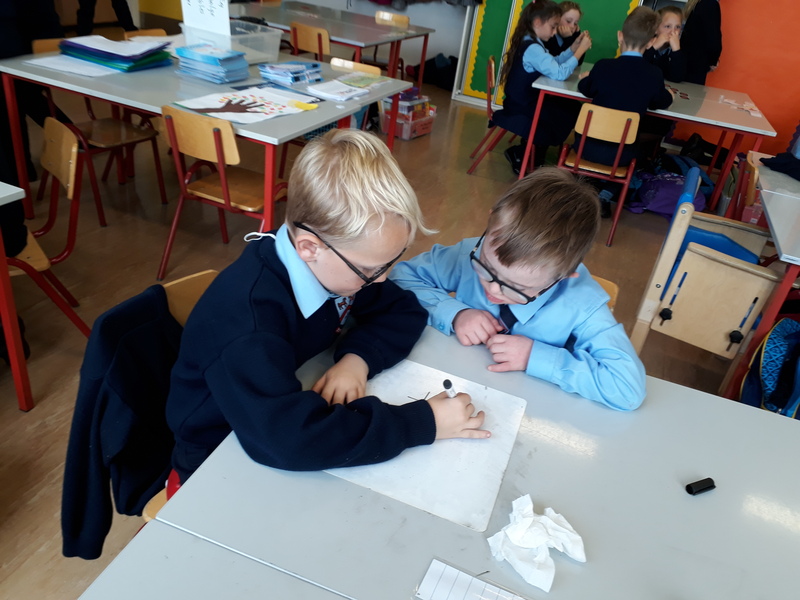 They then drove the car (paper clip) around Ratoath by using a magnet underneath their map. 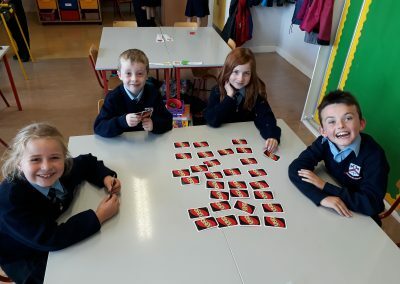 In History, we were looking at games in the past so Ms. Burke brought in what she would have played as a child. 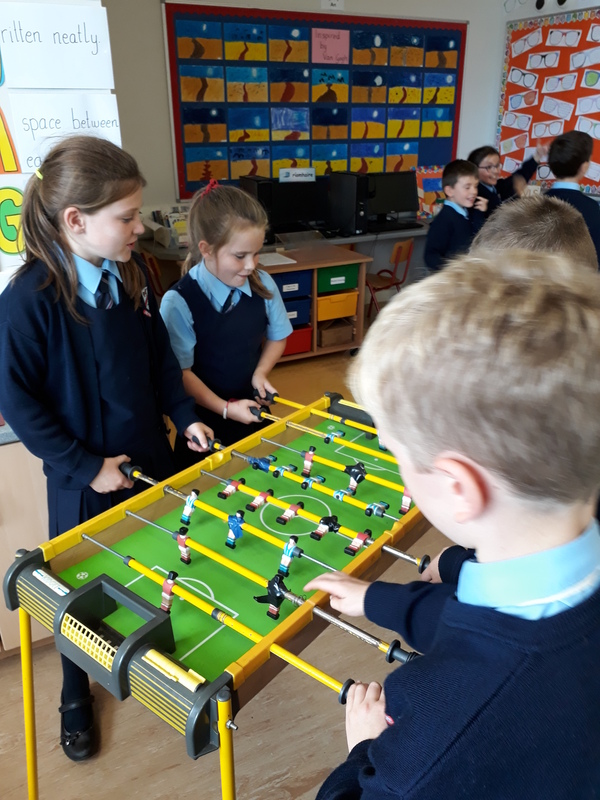 There were 7 stations – foosball, rubber rings, memory, target, elastics, x’s and o’s and squares. 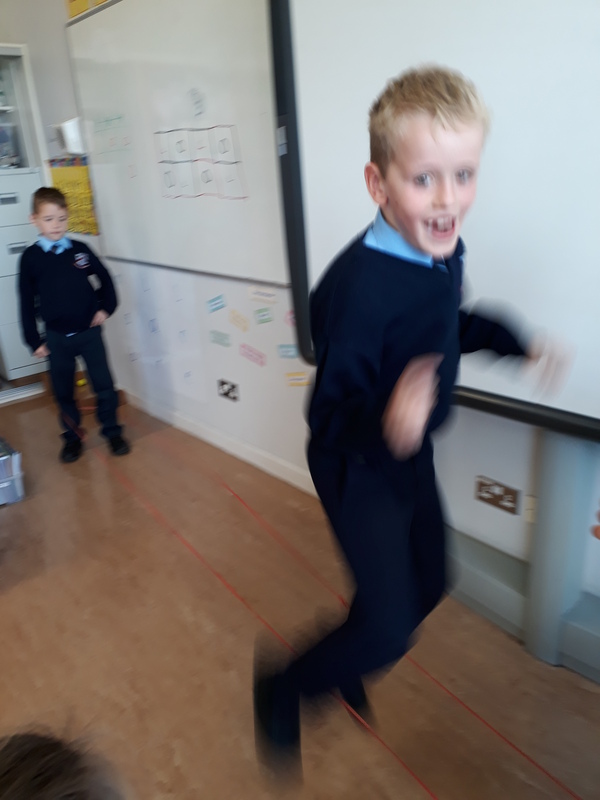 Everyone in room 8 had so much fun, including Ms. 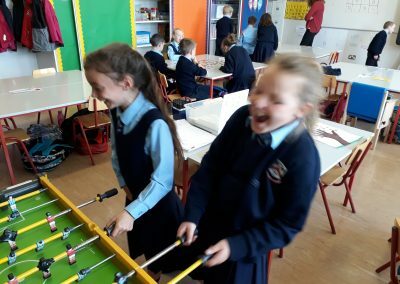 Burke!! 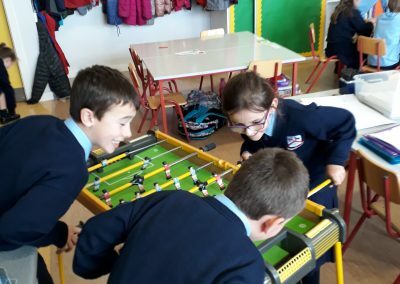 Have a look at the photographs showing these activities!